Home » Health » What Is Dyslexia? Dyslexia is a disorder in the learning process characterized by difficulty reading, writing or spelling. People with dyslexia will find it difficult to identify spoken words, and turn them into letters or sentences. Dyslexia is classified as a neurological disorder in the part of the brain that processes language, and can be found in children or adults. Although individuals with dyslexia have difficulty learning, this disease does not affect a person's level of intelligence. 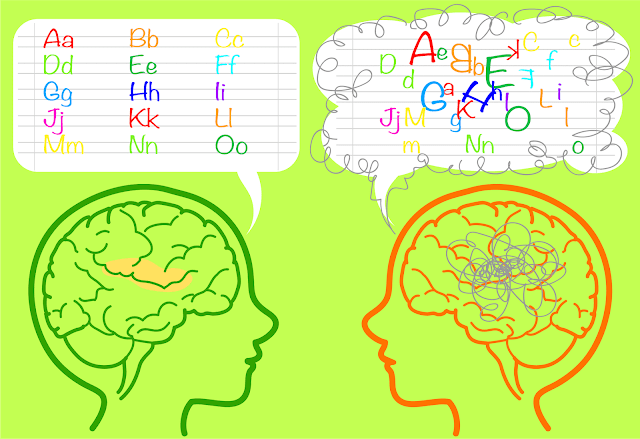 Dyslexia can cause symptoms that vary, depending on the age and severity of the sufferer. Symptoms can appear at the age of 1-2 years, or after adulthood. Speech development is slower than children of his age. Difficulty processing and understanding what is heard. Difficulty finding the right words to answer a question. Difficulties in spelling, reading, writing, and counting. Slow in completing reading or writing assignments. Slow in learning the names and sounds of the alphabet. Avoid reading and writing activities. Difficulty remembering letters, numbers, and colors. Difficulty understanding grammar and adding to the word. Often mispronounce names or words. If the development of the child's reading and writing skills seems slow, immediately consult a doctor. If dyslexia is left untreated, the child's difficulties in reading will last until adulthood. Infection or exposure to nicotine, alcohol, and drugs during pregnancy. Premature birth or low birth weight . A history of dyslexia or learning disorders in the family also makes a child suffer from dyslexia. Health history and development and education of children. The doctor will ask if other family members have a history of impaired learning ability. Situations and conditions at home. The doctor will also ask about the family's condition, including who lives at home, and whether there are problems in the family. Fill out the questionnaire . The doctor will provide a number of questions to be filled out by family members and teachers at the school. Nerve examination. Nerve function tests are performed to check whether dyslexia is related to disorders of the brain, eyes, and hearing nerves. Psychological test . Psychological tests are conducted to understand the child's mental condition, and get rid of the possibility of anxiety or depression disorders that can affect his learning ability. Academic test. Patients will undergo academic tests analyzed by experts in their fields. Although dyslexia is classified as an incurable disease, detection and treatment from an early age is proven to be effective in improving the patient's ability to read. Recognize the sound of words that sound similar, like 'market' and 'fence'. Spelling and writing, from simple words to complicated sentences. Understand the letters and arrangement of letters that make up the sound. Read the sentence correctly, and understand the meaning that is read. Arrange sentences and understand new vocabulary. Reading aloud in front of children. This step will be more effective if done in children aged 6 months or younger. If the child is mature enough, invite the child to read the story together after the previous story has been played. Encourage children to dare to read. Eliminate the child's fear of reading. By reading regularly, the child's ability to read will increase. Cooperating with teachers at school. Discuss the child's condition with the teacher in the child's school, then discuss the most appropriate way to help the child succeed in the lesson. Routinely communicate with the teacher so you know the child's development in school. Talk to the child about his condition. Give understanding to children that the conditions they experience can be improved, so that children become passionate about learning. Limit watching television. Limit the time children watch television, and provide more time to learn to read. Choose a reading theme that is interesting for children, or choose a fun place to study so children are interested in reading. Join a support group . Join support groups with the same conditions. The experience of other parents who have children with dyslexia, can be valuable information to improve children's abilities. Children with dyslexia who are not immediately treated, will have difficulty reading. His ability to understand lessons at school will also be left behind. Therefore, if the child shows symptoms of dyslexia, immediately consult a doctor . Treatment will be more effective if done earlier. 0 Response to "What Is Dyslexia?"